I live in Northern Ireland which is a very green country. This is why as much as I complain about having so much wet weather I'm not overly bothered as it's what makes the country look so pretty. So I went for a fresh snowfall on the pretty green fields. 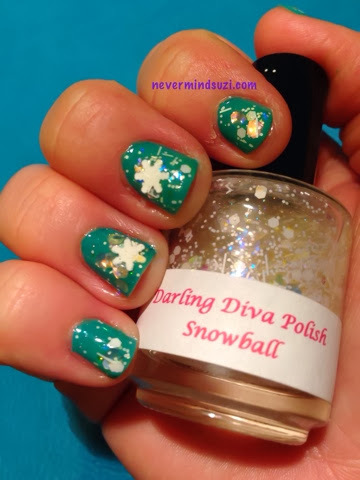 I used Sally Hansen - Kiwi Bikini and topped it with Darling Diva Polish - Snowball.